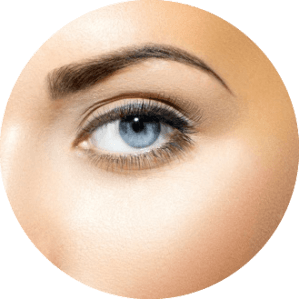 Eyelid surgery is performed to restore a more youthful appearance to the upper and lower eyelids. Many patients have excess skin or bags (fatty deposits) of the eyelids which leads to a more tired appearance. By removing this extra skin and fat, the eye area can be rejuvenated. Dr. Simon frequently performs eyelid surgery in the office under local anesthetic with minimal downtime. Every patient is given a gel ice pack to use for the first 48 hrs. after surgery to maximize comfort and minimize swelling. In addition, Dr. Simon uses absorbable sutures which disappear in about five days. This will eliminate the need for uncomfortable suture removal and assure the best possible healing. 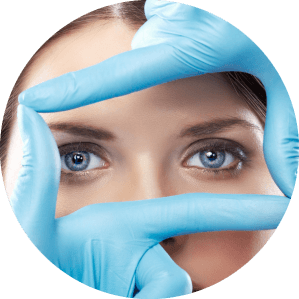 Most patients having upper and lower eyelid surgery will have their procedure done in an ambulatory surgery center with intravenous sedation or general anesthesia. 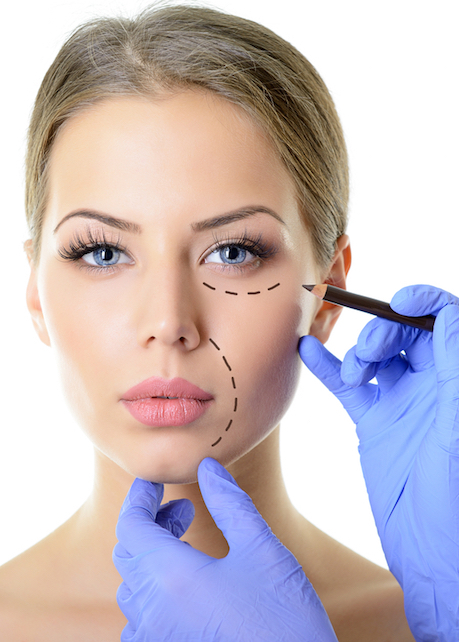 Eyelid surgery is performed on an outpatient basis. Be sure to arrange for someone to drive you home after surgery and to stay with you at least the first night following surgery. Aspirin and certain anti-inflammatory drugs can cause increased bleeding, so you should avoid taking these medications for a period of time before and after surgery. Your surgeon will provide you with additional preoperative instructions. You should bring dark sunglasses to wear after surgery as your eyes may be more sensitive to bright light. 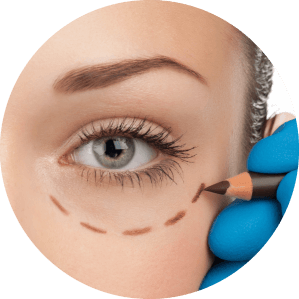 For patients having upper eyelid surgery in the office, there is often minimal bruising and swelling which diminishes almost completely in one week, although this varies between patients. Most patients schedule one week off from work. Dr. Simon will examine you and will have you point out your areas of concern. You will discuss your goals from the eyelid surgery. The placement of the incisions will be demonstrated. Dr. Simon will explain to you the best technique that will safely and effectively achieve your goals. Dr. Simon will explain to you the risks that are involved in eyelid surgery during the consultation.